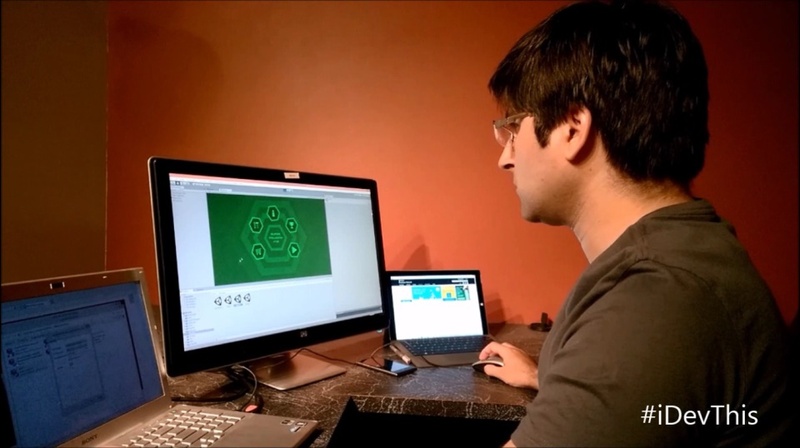 Before you can develop a Windows Phone 8 app, you'll need to install the Windows Phone 8 SDK (Software Development Kit) on a computer running Windows 8 64-bit edition. The reason for this requirement is the Windows Phone Emulator ... it is running as a virtual machine in Hyper-V, Microsoft's virtualization platform. 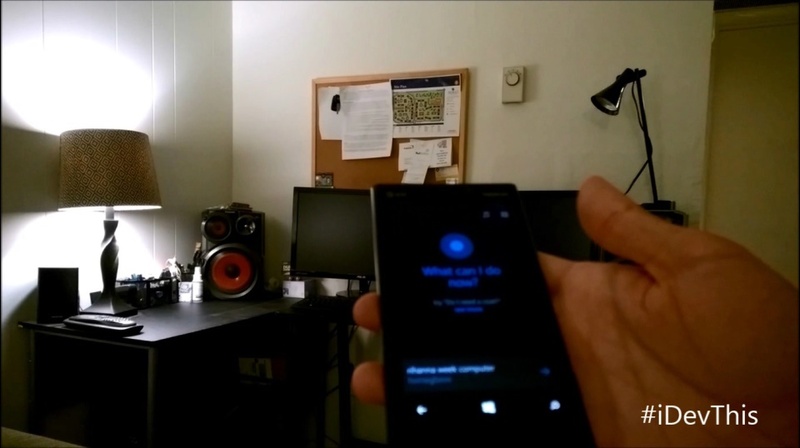 So, you'll be running the Windows Phone 8 operating system in a window that looks like a real phone, on your desktop for the purpose of testing your work. TIP: I'm going to save you some time and expense. If you're running a previous version of Windows and it is a 32-bit edition, you cannot simply use Windows Upgrade Advisor by visiting: https://windows.microsoft.com/en-us/windows/buy to electronically upgrade from a previous version of a Windows 32-bit operating system to Windows 8 64-bit. Instead, you'll need to purchase the Windows Pro Upgrade DVD. In my case, I purchased the OEM version of Windows 8 64-bit Pro. I was concerned that I couldn't do a clean install using the Upgrade, however that apparently is not the case and I could have saved a few bucks with the Upgrade option. For the purpose of developing Windows Phone apps, you don't need the Pro option, just make sure whatever you choose is 64-bit. EDIT: Ignore the advice in the previous sentence. 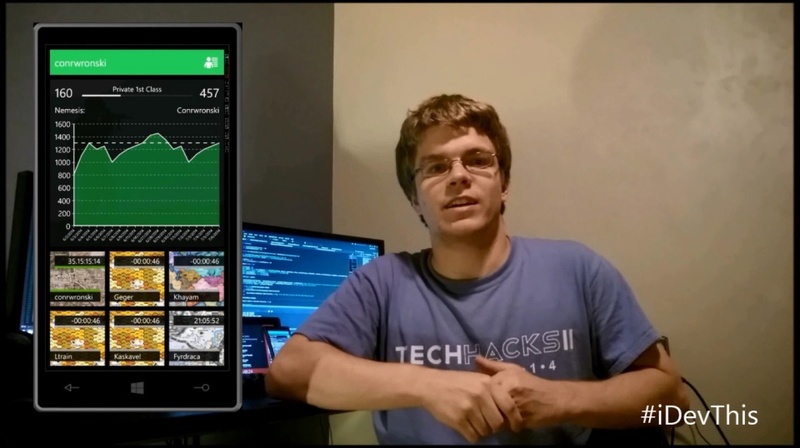 The Pro option IS NECESSARY for the Windows Phone Emulator which you will almost always want. Therefore, I personally recommend you purchase the "Windows 8 Professional System Builder OEM DVD 64-Bit" (Search for that phrase on your favorite online retailer's website). Non-DVD, non-OEM versions may work just fine, but I'm not personally recommending them. For more details on why this edit was necessary, see the comment thread at the bottom of this page. I apologize for the confusion. 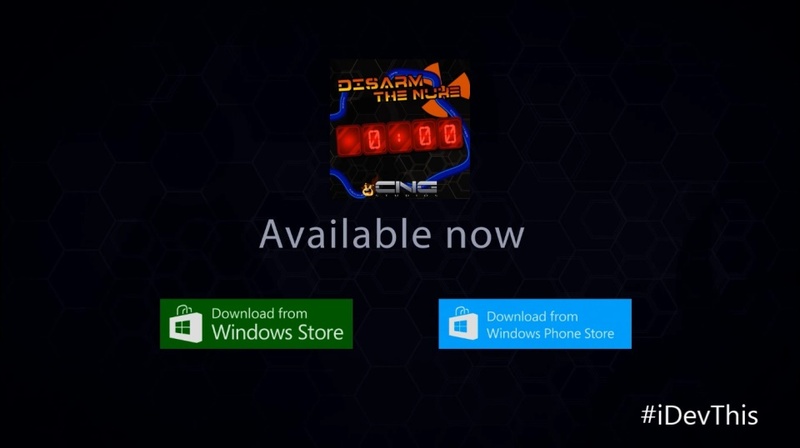 Next, you download and install the Windows Phone SDK 8. If you already have Visual Studio 2012 Professional or greater, the installer will merely add the tools required for Phone development. If you DON'T have Visual Studio 2012 installed, the installer will add the Visual Studio 2012 Express for Windows Phone 8. This will provide a single-task version of Visual Studio meant specifically for Phone 8 development, so you won't get the tools to create Windows 8 Store apps, Windows Presentation Foundation apps, ASP.NET web apps, and so on. I'll be using this version for the remainder of this video series, but I assure you the experience is almost identical to using Visual Studio 2012 Professional or greater. I'm sure you're familiar with downloading and running an installer, so I won't walk through that process here. In this case you'll need to enable your motherboard to run Hyper-V. In my case, I recently built my own machine and used the Asus Sabertooth Z77, which is a high-end military grade motherboard. I used the latest Intel i7 chip—the i7-3770K which fits in an LGA1155 socket. Most importantly, it supports Intel's Hyper-Threading Technology ... I just have to tell the motherboard to turn that functionality ON. In the BIOS for my motherboard, I had to enable Hyper-V Virtualization by going to Advanced Settings, then the Advanced tab, then looking through the possible settings. In my case, it was something called Hyper-threading Intel Virtualization Technology. What I would recommend is this—if you're not sure how to do this for your particular brand of computer, just run the SDK installer and follow it's instructions. It's possible you'll need to do nothing special. If you DO need to do something, it's very possible someone else in the world with the same exact computer that you have has worked through this issue and blogged about it. Here's where good searching skills with a search engine like www.bing.com is an invaluable skill. A few minutes—heck, even an hour of reading and researching—can save you headaches. As a last resort, contact the manufacturer of your computer to simply ask how to enable hyper-threading in the BIOS. They should be able to point you to a knowledge base article on how to perform this operation. I only bring up the Mac with VMWare for this reason ... if there's a will, there's a way. What seems hard is usually pretty easy ... just need to know which options to configure. Again, www.bing.com can be your friend in cases like these. After you work through these requirements, you're ready to get started and follow along in this series. So, we'll begin in the next video. It's not the hyper threading option that is needed for hardware virtualization but rather the "Intel Virtualization Technology" option that has to be enabled (visible as the last option in the screenshot). @Vill Inge Ha: Yes, you're right I think. It was a few days between when I did it and when I took that screen shot so I forgot. I'll make that change to the tutorial. Thank you. Hi Bob. My computer has a Dual Core processor which I suspect does not support hyperthreading feature. I have installed 64 bit Windows 8 on the same. While installing the SDK, I did not receive the "Hardware virtualization disabled" message. Everything installed smoothly. 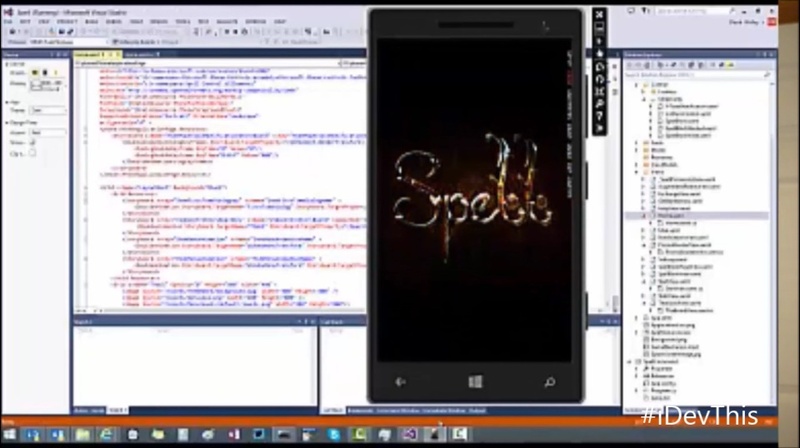 However, Visual Studio does not provide me the "Debug" option for Windows Phone 8 emulator. It only shows the "Device" option. For Windows Phone 7.1 mode, I get both options. I understand that for debugging in Windows Phone 8, I could use the actual device but are there any other alternatives (besides using Mac OSX with VM as it would require me to bulk up on RAM) available to be able to use Windows Phone 8 emulator? 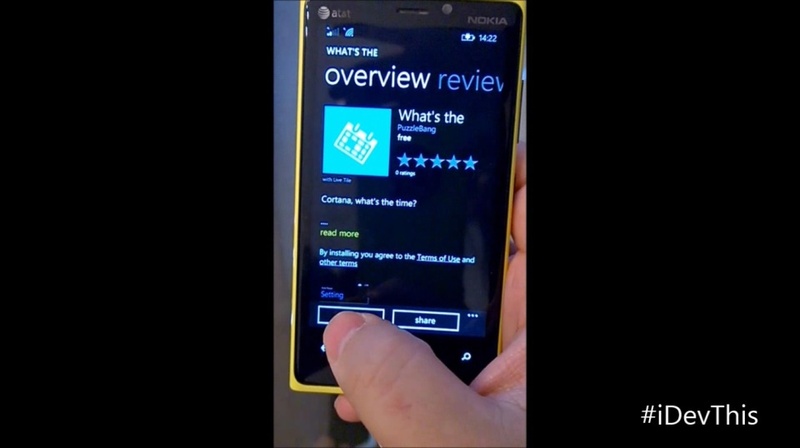 And maybe this is a silly question, but can I use the WP 7.1 emulator for doing Windows Phone 8 development (though I know it will be a compromise of sorts)? I also have a couple of developer colleagues who are facing this roadblock. I have modified the version value now but when I run setup, its still mentioning the same issue. what to do now ?? You'll have more luck getting someone AT MICROSOFT who can walk you through fixing your problems. Good luck! The emulator couldn't determine the host IP address, which is used to communicate with the guest virtual machine. I'm looking forward for any helpful response. Thanks in advance! I have windows 8 release preview and currently no setup of Visual Studio installed on it.When i ran the SDK, following message appears: The .Net Framework installed on this machine does not meet the minimum required version: 4.5.50709. You'll need to change the permissions before you can edit anything. First, change the owner to Administrators, then assign the Administrators principal with Full Control. I have modified the value as mentioned above but still when I ran setup even 'Run as administrator', it still displays : The .Net Framework installed on this machine does not meet the minimum required version: 4.5.50709. @Ank: You mean 8.1 preview, right? Not 8 preview. Just want to make sure. I would say this ... I had all kinds of problems with 8.1 on my PC (probably shouldn't say that on a Microsoft website, but since it's beta) so I don't trust it. I had to completely re-install Windows on that box, and since then I just run 8.1 Beta in a VM. You shouldn't have to touch regedit to get this working. I would re-install Windows 8 (a fresh OS is a developer's answer to most weird problems like this) if you really want to do Phone 8 development. Unless, someone else has any better ideas? Anyway, thanks again for your cares and tries to find a way of explanation on videos, It's really easy to get it! @oznein: Very cool. Thanks for reporting back! @TTom: Thanks and sorry it took a while to research this. I believe you are right. If you want to use the Emulator, it looks like you will need Windows 8 Pro. Otherwise, you'll have to test on a Windows Phone 8 DEVICE. Good point. I should make that clearer in my wording. I have windows 8 pro 32bit, what do i need to do to get the SDK for windows 8? So, if my motherboard doesn't support hyper-virtualization, that means...it doesn't allow me to use the Emulator, but i can still develop my apps for windows phone 8. I'm running on Windows 8.1 preview. And apparently Hyper-V does NOT run on Windows 8.1. Can I continue without the emulator? Thanks. if i check out the bios there stands that virtualization is already enabled, but if i start the emulator i get the error that hyper-v is not enabled. Any idea what the problem could be? @Donaghy: Possibly ... (I could be wrong, but ...) I believe VS still works up until you need to F5 Start Debugging. At that point, I *think* you could use a Windows Phone 8 device connected via USB for debugging. @ymaarrawi: Again, you would need a Windows Phone 8 device (I *think* that would work, but I haven't tested it). @Safari: Hmm... honestly, I have no idea what it could be. Perhaps, a "sequence of events"? As in: I installed VS first, THEN I enabled hyper threading on the bios? If that's the case, I might try to uninstall / re-install Visual Studio for Windows Phone 8 so that it picks up that new setting. If you are going to use the emulator inside vmware machine, an additional step needs to be done in order to avoid the following message: "The Windows Phone Emulator wasn't able to create the virtual machine: Generic failure"
@Johann: Interesting. Are you using the Windows version or Mac version of VMWare? I don't recall having to do that on VMWare Fusion (mac). I am facing a problem while installing the SDK, its saying "Unable to locate package source" and failing every time to download from Internet, need your help. There are quite a few steps ... I would start by triple-checking that you, in fact, do have all the requirements for the SDK. Once you're sure, then you can try some of the fixes suggested. I've never seen that problem you're having before ... wish I could offer more help. It does help to start with a fresh machine / fresh VM each time you go to configure something new like this. That's been my strategy for years and I've avoided a lot of these configuration-type issues. Good luck! I installed Windows Phone 8.0 SDK but when i run Emulator it shows error saying that " The Windows phone Emulator Requires Hyper-V". Please help me out. @Gaurav: While you can run and use the tooling with Windows 8, for the emulator (hyper-v is a requirement), you need Windows 8 Pro x64 and a processor that supports SLAT. Do you have that? after installing sdk 8 , it shows me the message for restarting the pc I do that but after restarting it stucks at the screen with the cyan window. Any ideas ? @bill: What is stuck? Windows? Or Visual Studio? I don't think I've ever seen a cyan window ... any chance you can take a pic and show me what you're seeing (even with a cell phone or something)? Sorry ... gotta' ask ... are you 100% sure your computer had all the requirements for the SDK? @bill: I had a problem with Windows 8.1 beta that sounds similar. Had to disconnect a secondary SSD drive just to get it to boot. Craziest thing. I wonder if the two issues are somehow related. Anywho, glad you were able to figure it out! @enno: You can try, but based on what you describe I kind of doubt it. Good luck! Conflicting information regarding what is required for SDK 8. In your video you said that you only need Windows 8 64bit not necessarily Pro version. But when you I go to this site and download the SDK, it says Pro or higher. "Windows Phone SDK 8.0 requires 64-bit Windows 8 Pro or higher." @Joseph: The emulator requires you to run Hyper-V, which does require Windows 8 Pro. If you have a device that you can deploy to, you only need Windows 8. Please refer to https://www.microsoft.com/en-us/download/details.aspx?id=35471 for more information. @enno: yes, you need a 64bit install of windows. Our walk through and the link above states that. I agree with this, I bought a Sony VAIO laptop in December 2012, which came with Windows 8 on it. I called Sony to learn how to turn on virtualization on the BIOS, which they helped me do. Then I installed the WP8 SDK, per this episode, and got 2 error messages. One saying that it couldn't add my account to some virtualization group in Windows (I wish I'd saved a screen dump of that dialog box, but I didn't so I'm going on memory here), and the other one that said that virtualization wasn't turned on. I just can't believe that; I've turned it on, and this installer said I didn't?! I also downloaded the SysInternals' CoreInfo app, ran it and it verified that I had virtualization as well as SLAT turned on. So, again, I don't know why the SDK installer said I don't have virtualization turned on, whereas other utilities say that I do. But then I decided to go ahead and try to get into VS 2012 and create a project anyway. After all, the installer said it ran successfully, even though it reported those 2 problems. 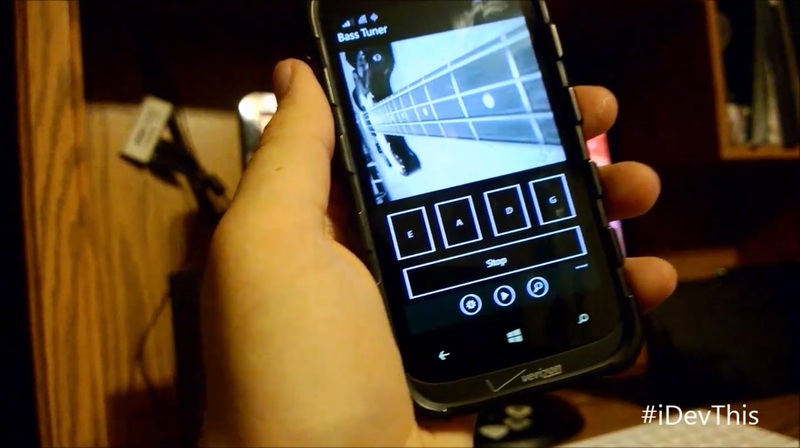 I created a plain, vanilla Windows Phone 8 app, then tried to run it in the debugger. I told me that I couldn't, sauying that I needed Windows 8 Pro in order for the emulator to work. OK, I've just did an in place upgrade, and will see if this makes it possible for me to run the emulator. I'm wondering, though, would the 2 errors that I encountered not have been encountered if I had Windows 8 Pro on this machine to begin with? Here's a little more info. I now know that the local group that my account needed to be added to is called Hyper-V Administrators group. It is found in the local users and groups, which you can get to through Computer Management. I found the group there, and I added myself to it. You don't have permissions to modify internal Hyper-V network adapter settings required to run the emulator. Click "Retry" to run the emulator in elevated mode. Well, yeah, I cold run the emulator in elevated mode, but the whole point of putting yourself into the Hyper-V Administrators group is so that you don't have to run the emulator in elevated mode, or so I understand. So, am I missing something else, made some other mistake, done something else wrong, failed to do something else? @Doctor Who: I'm sorry you're having problems with the install. I'll readily admit ... It took me several tries, and that's what prompted such a thorough (attempt) at explaining what you should and shouldn't do ... clearly, my personal experience only scratched a few of the challenges and not the full breadth of the challenges involved. What I clearly failed to do in the video / article was to make a clear distinction here with regards to the requirements. I apologize for not making this crystal clear. I'm going to make this clear in the article portion hoping that people from now on will read it before making any purchase decisions. Technically, yes, you can install the SDK on a non-Pro edition of Windows 8 64-bit, however PRACTICALLY you will want the Pro edition for the emulator. Second, your current issue seems to be around permissions. I realize what I'm about to suggest will violate the principle of least privilege access, however, is the account you're running under also part of the Administrators group? I'm wondering if there are *other* privileges required that were not mentioned in the error messages you received. I suppose I could look at my machine and list out all the groups I'm a part of. Is there anything I could do to help? This is why I finally decided to purchase the physical OEM of Windows 64-bit Pro. I actually wasted several hundred dollars trying to get this right. Fortunately, I had just built a new physical machine so it made sense. I bought a second physical OEM of Windows 64-bit pro for my VM which I used to record these videos. While I'm at it, let me tell you what I do as a developer who has grown tired of constantly having to work through various configurations of Windows, Visual Studio, SQL Server, etc. I use VMWare and keep my primary operating system pristine. In fact, for each new project, I copy a pristine VM and set it up for that project. 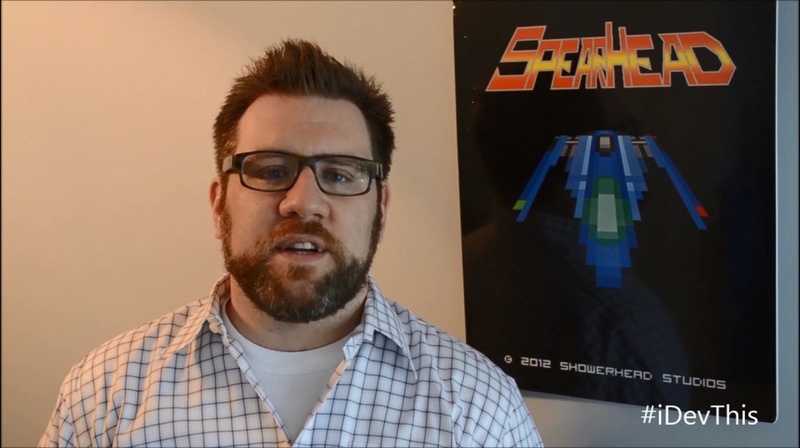 I'm aware that this is probably in violation of ToS, but I hope Microsoft forgives me ... I pay for all my software. I have a 2TB drive that stores all my current project VMs. It's extreme, but again, I've not had configuration conflicts in years as a result. @Bob Tabor, thank you very much for a thorough explanation. You're probably correct, and I might be missing some groups or something like that on my machine, which you have on yours. Something that I'm not a member of. For now, I can run Visual Studio as Administrator. After all, I have to do that whenever I do ASP.NET development. I've got to get more comfortable using VM's. I tried using the special VM that came out with Windows 7 for putting a version of Windows XP onto your machine. I've heard recommendations for the free version of VMware, so will look into it as you suggest. @Doctor Who: I don't know about cheap / free versions of VMWare. I'm using the Mac version and have kept it updated ... I think I purchased it for $50? Obviously, having an MSDN license is part of this equation, too, or at least having access to the Windows OS you need, VS, SQL Server, etc. Obviously, if you have an MSDN license ... or more specifically a Windows 2012 license, you already have access to Hyper-V.
Of course, if you have an MSDN license (perhaps your company purchased one for you) then you might think about running VMs on Azure for (essentially) free -- you get Azure credits ... $50 / month at a minimum. I've been playing around with Azure VMs for the past week ... it's really awesome. They even have VMs that are preconfigured with Visual Studio 2013 (Ultimate) Preview ... I haven't tried Phone development on an AZURE VM but in general, you could create a dozen VMs with various configurations, save them off, then spin up a copy when you have a new project and only pay for the time it's running. You just use Remote Desktop ... so I guess a good internet connection would be valuable, too. Admittedly, I haven't gone quite this far for my personal workflow, but it's the next step from what I'm doing right now. ... no new hardware or software to buy. Yeah, ok, that's like $57.60 **IF** you keep one running 8 hours a day, Monday through Friday, for an entire month. I rarely get to code that much. So, .36 / hour ... that's a pretty good "rental fee" if you ask me. (While I was writing this reply, I tried this out ... I have a pretty fast internet connection through Verizon Fios with 83 mbps down / 34 mbps up ... even so, there's a tiny lag when you type, but other than that, a gratifying experience. The whole setup took 10 minutes from login to the Azure portal to the point where I wrote a Hello World ASP.NET app). Dual Core Processor 64 bit 2.9Gig Hz, 2 cores and 2 threads, with (SLAT), I realise I need windows 8 pro as well, but somebody stated above that it needs to be an i3,i5,i7 processor and not my intel dual core is this correct please ? @Snooker: Hi Snooker, I'll help if I can ... I'm NOT a hardware guy so I have to rely on my research skills. Also, read the comments below that article ... someone (@gadya) suggests that it's not JUST the processor, but the motherboard / chipset may need to support it as well. I know in my case, the Asus z77 Sabertooth has the BIOS settings I needed listed there ... so that's a BIOS thing, not a chip thing. They may have a point there. So, pin down the manufacturer and try to get them to give you a definitive answer ... if they can't, you'll have to decide whether to risk it or go with something that advertises SLAT to be on the safe side. Hope that helps? Hello Bob, I have tried to find the definitive answer but can not, and was curious if you knew somebody who may possibly be able to help please as it may be useful for other people regarding the computer requirments for the "windows phoine 8 emulator"
Also the computer needs to be able to do "Virtualization Technology" which supports "SLAT"
My processor is a Pentium dual core G2020 2.9GHz, with the two above Virtulisation Technology options above (Yes) and says somewhere else that it does support "SLAT", HOWEVER DOES IT NEED TO DO "Intel® Virtualization Technology for Directed I/O (VT-d) ‡" AS WELL OR NOT, in order to run the windows phone 8 emulator please? @Snooker: So, wait ... you tried it and it doesn't work on your new computer? As far as someone who can help, hoping @Clint sees this thread. He's much more connected to folks in the know than I am. @Snooker: so you have SLAT (Intel VT-x). What you don't have is Windows 8 Pro. For not having Directed I/O, I have no clue. To the best of my knowledge, you only need a SLAT capable processor to run Hyper-V.
@Snooker: Once again, the two major requirements for running the emulator is a SLAT capable processor and running Windows 8 Pro 64-bit. @Snooker: when in doubt, look at the official requirements, https://www.microsoft.com/en-us/download/details.aspx?id=35471 They clearly state what the minimum requirements are. Hi bob, can I install windows phone sdk on windows 7 OS? Hello BobTabor, There are many things I want to tell you. I have been trying to enable hyperthreading in my PC but I'm not sure if it's enabled or not because there's no option in my bios called "hyperthreading". I tried to call my computer manufacturer (ASUS) and they told me that they're not able to help me with that. On the other hand, my Windows phone 8 emulator Works fine but I have a problema with the wireless connection. I mean, everytime I use the emulator I have to delete the virtual switches created by the Windows Phone 8 Emulator because otherwise I won't be able to connect via wireless to any router. I would really appreciate your help to make sure this problem doesn't happen anymore. @Ranguro: We cannot account for everything. Sorry but majority of the time stuff just works. The fact your computer runs the emulator, you're fine there then. For the virtual switches, that seems odd your wifi would do that. Seems like something is getting misconfigured. Do you have anything that would alter your network adapters installed? @Ranguro: @Clint: Yes, I was a knucklehead and got my terms confused (not a hardware guy, remember?) I updated the screenshot and the article (above). Will re-do the video at some point. Maybe you guys would like to check the thread I created, so we can figure out where's the problem. What I mean is that maybe talking about proper Hyper-V configurations might be helpful for those users that have problems with the internet connection. Because I have tried to install it on two laptops and I had the same problem. I can be pretty sure that if I try to install it on another laptop, I will have the same problem. Thank you for your Answer, Bob-Clint. Hello Bob Tabor, Clint Rutkas. I haven't heard about you guys. Have you tried to figure out where's the problem? Please I have contacted many people but I'm not able to find something that can fix the problem. @Ranguro: I've installed the wp SDK on a ton of different hardware (laptops / desktops) without issue. There has to be some software configuration you have installed that is causing the issue here. Looking at the MSDN thread, do you have virtual box installed? error when I run the app is Hyper-V! and Hyper-V does not have the features list in my computer. - Win 8 pro 64bit. You can help me. Thanks u! • VT-x enabled in the BIOS. My error is: no item Hyper-V Features list. Emulator error and build project and said that conditions are pro 64bit Win 8 even though my computer have enough to meet. @Jvinhit: is that the exact error word for word? did you restart your computer since you installed the tooling? Are you running Windows from within a virtual machine? I am trying to develop windows phone 8 apps. before to this I need to install windows phone 8 SDK. so I have created a windows 8 virtual machine in hyper-v. I have installed all the required things in that virtual windows 8. now the problem is, when I am trying to execute the emulator it's showing me virtual machine management service isn't running. I went to the services but I didn't figure out any such service over there. please fix this problem for me. 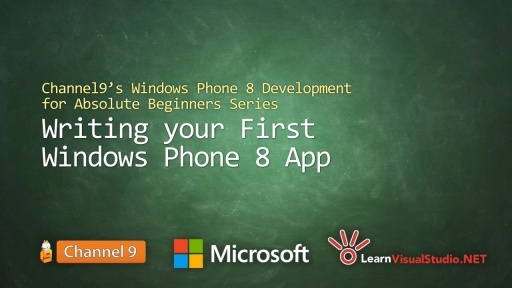 I need to try windows phone 8 development. Hi @Clint , I have overcome it! Thanks Clint. I need some useful documentation for programmers windows phone 8. Can you help me Clint. Sorry, I do not speak English well. @chaitnaya: don't think this will work with hyper-v vm of win8. You are basically running a vm (emulator) within a vm. Yes, I have VirtualBox installed. Is there any problem with VirtualBox? @Ranguro: it could, I've never tried a computer with both on it but it is possible. You have two different low level services that want to do virtualization, they could conflict. I'd try it without it and see. Hi, i downloaded and installed windows phone 8 sdk iso version, having enabled the hyper v on my new hp probook 4540s i got an error message : "failed to add current user to hyper v administrator's group"
@emeksense: check out https://msdn.microsoft.com/en-us/library/windowsphone/develop/ff626524(v=vs.105).aspx about midway through. Looks like you'll need admin privs to the box. In order for the Win Phone 8.0 SDK to work, unfortuneately for me some website state that the processor has these technologies and some state that it does not, i am very confused and don`t know if i should buy it or not, do you think the processsor is ok ? could you tell me if either ones work? If you find a machine you like that supports it, please share here. Thanks for the quick reply. I think i am set on buying the i5 3470 processor. @Alexandru Perry: I think your motherboard / bios has to support it too. At least, that's what I read in some forum. Read through these comments where I post the link. I *hope* it's just that easy as you describe, maybe I'm making this way too hard. I have a new SONY VAIO with i5 processor and windows 8 pro 64-bit(activated) with 4 Gig RAM. MVS2012 got installed, but the windows phone SDK 8.0 is showing a lot of problems whilst installation. 1) A required certificate is not within its validity period when verifying against the current system clock or the timestamp in the signed file. User cancelled installation. - I dint cancel any. 3) sometimes while downloading the files, it saying that the packages or something related cannot be found. (or) Unable to locate package source. I have read all the threads above, so i waited for two days, but it is not a server problem. And i am not sure what it is. I would also like to add that my system requirements completly match with the requirements. Thank you. Awaiting your response. I tried to install even now. I downloaded offline installation ISO and tried to locate the package. "Microsoft Software Development Kit Tools for wondows store. A required certificate is not within its validity period when verifying against the current system clock or the timestamp in the signed file"
I wanted to post the screen shot of it. But, I think there is no option here. @Bob Tabor: Even I am getting the same error. When i Checked the website it told me that i would have to get the latest version of visual studio pro 2012. So i tried it with the update 3 too and still it is showing me the same message which @moe47336 was talking about. Is this some error from the side of Microsoft? Kindly Help me. I tried this in 2 workstations and i face the same problem in both. Its a bit urgent! As i have the appfest in 3 days. Thank You. Like some other folks, I have been struggling with this WP8 SDK install problem for the last 24 hours -- I installed using SDK .iso's and VS 2012 Update 3 .iso's, over and over. And it was driving me NUTS! Following various bits of advice from a number of forums, the procedure below is what worked for me. In my case, I was installing into a VMware virtual machine, but the issue seems to be independent of the VM aspect. 1. Ensure the host system has Hyper-V support. 3. Under VMware processor settings, ensure VT [x] is checked. 5. Finally, boot the VM -- install Windows 8 Pro x64, as needed. 7. Under the VM's control panel, modify the Windows Program Features ... find Hyper-V in the list, and enable both Hyper-V options [x]. 10. Using Control Panel, find the software: Web Deploy 3.0, and uninstall it. 12. Mount the .iso, and run the update; i.e. : do a Repair to bring VS 2012 up to date. and install it (right-click, Install). Yes! Just do it! 17. Mount the .iso once again, and FINALLY run the Windows Phone 8 SDK install. 18. You will need to reboot, at least once, until the SDK is installed. this worked for me. easy and simple. @SEAbat: Awesome! Thank you for posting this. @Bobtabor: Not all of it, only the step 15. I couldn't help but notice that a lot of people are doing a lot of things to make the emulator work. why dont just use a windows phone? you should have one because you are making apps for windows phone! if you dont have a windows phone you can buy a cheap one, last time i checked unlocked lumia 520 was only $160. It will cost much less than changing your OS+Processor+Ram !!! + u can carry it around and show the apps to other people. 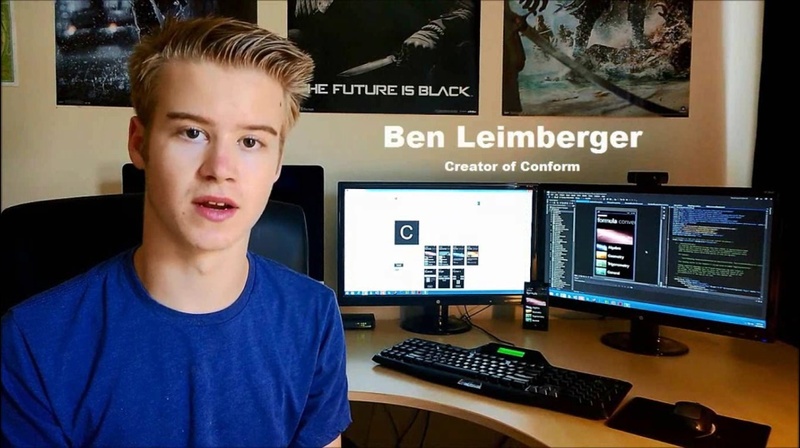 This guy is simply promoting Microsoft's products! @GMB: I'll assume you're talking to me and not @Fahim333: ... and I'll assume that is a legitimate concern of yours and you're not just trying to get me to respond in kind. So, yes ... in the sense that educating people is the best way to promote a product or service, especially one that is deeply technical, then I am unabashedly promoting the Windows Phone. I think we'll see that Microsoft has a long term strategy and brilliant people working on it and they will close the mindshare gap once the general public, enterprises and developers become more aware of what it can do. Secondly, Channel9 and MSDN (where you viewed this video and commented) are owned by Microsoft. In fact, they are operated by a group called Developer Platform Evangelism (DPE). By their very name they are "evangelistic" in nature. You're not going to hear negatives from Microsoft about their products here. Having said that, I've come to learn that those who are Microsoft's most harsh critics are those closest to (and inside of) Microsoft. That's a VERY healthy perspective -- you'll often hear someone from Microsoft comment that "we got this wrong" or "we can do better here". That shows me that they are fully aware of those areas that are ripe for improvement and are working towards it. Personally, I've made a career out of being squarely in the Microsoft camp. There's no need for me to leave -- it's a healthy "camp" with a growing portfolio of products and vibrant community of smart people. My family enjoys a great lifestyle and my kids are headed to college and I am thankful for Microsoft's role in all that -- giving me the software tools and allowing me to leverage those into career opportunities. I would love some assistance if anyone has encountered the following issue. I ran into and solved most of the installation issues described above with the help provided. However, I still cannot get a clean install of WP SDK 8.0. I encounter the following error: "Setup Complete. However not all features installed correctly. The event log is full." VS Express for Windows Phone launches and everything appears to work correctly except I cannot access the design pane. The solution will open in Blend and thee design pane is available in Blend. I uninstalled Silverlight and Siverlight SDK 4. I installed current version of Silverlight. I increased log file size. I still get the error message. Before I uninstall all visual studio products and start over, does anyone have suggestions? @XEcontrol: that also happened to me at first. but i dont have much of a suggestion. i did it the hard way. i installed win 8 pro (fresh install, not repair), installed visual studio 12, installed Win8 Shared SDK Tools (see above), then installed windows phone sdk. now everything is working as it should....i dont know why they made it so difficult to install sdk without single problem on the first go.. really annoying! @ross: Thank you for the information. I just attempted the "non-nuclear" solution by uninstalling all visual studio applications and associated programs and reinstalling visual studio 12 then WP SDK. Unfortunately, this did not work. The only solution left is to do exactly what you did. So, I'd suggest trying this simpler fix before trying anything else. The validity period of Windows Phone SDK 8.0 is from 6th October 2012 to 6th October 2013...Thus if we change our PC's time it will go under valid period.. I am using window 8.1 64 bit. Is it possible to work on 8.1 platform ? @ARSLAN: can you retry, chances are you are using the web installer rather than the ISO so you'll have to be connected to the internet while it downloads the SDK. @dsrajapaksa: I asked around and waiting for a response still. Does your computer meet the minimum specs for the SDK including hard drive space? @dsrajapaksa: did you try reinstall? @Clint: Previously i installed SDK using ISO image file that was when the first error occurred. ( what i mention above. )Now i tried to install it using Web Installer it shows following error .Says "Unable to locate package source".I reinstalled it but no solution yet. I am using windows 8.1. I have installed visual studio 2012 update 3 as mentioned. It's installed successfully. But while running the emulator a window pop up with error "invalid query". And visual studio show this error "A method was called on an uninitialized object". Please help me out. @Akib: is this with a file->new project and you just hit run or did you alter the program in any way? I didn't alter the program. And I am trying it by opening a new project. I'm facing this &gt; This computer does not support hardware virtualization, which means Windows Phone Emulator 8.0 can't run on this PC. Whats Problem ? @caochanhducduc: Step 1: Buy VMWare Fusion 6 ... Step 2: Install Windows 8 or later x64 Pro as a guest os with at least 4gb of memory - 8gb to be safe ... Step 3: Follow the instructions in this video to download and install the SDK. @sam: The emulator requires you to run Hyper-V, which does require Windows 8 Pro. If you have a device that you can deploy to, you only need Windows 8. 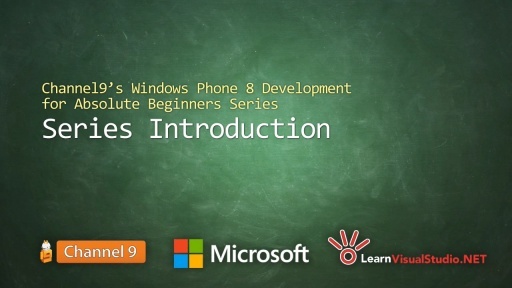 I am about to learn about Windows Phone 8 development! First step is to install the SDK! I did. But i am unable to install it. I have been installing the SDK since two days. Every time it has a different error. I guess it has to be something with the operating system. I have Windows 8.1 Pro with Media Center 64-bit. Help me out please! I am getting an error that the "log file is full". @Sumair Khan: It doesn't sound like a Phone SDK issue to me. It sounds like your Windows 8.x install is foobar. You may want to re-install or something. Google your exact error messages (with Bing, of course) to see if others are having the same issues. Good luck! Is it possible to install Phone SDK on Windows 8.1 Professional 32/64 bit? @Clint I already have Visual Studio 2013 Professional so i think it will be ok.
@Mostafa: Have you tried upgrading using Windows 8's Upgrade app? (I don't recall the name of it off the top of my head). You can find it in the Control Panel I think. If you already have x64 I would think you could upgrade to Pro. I don't know that to be a fact. That may mean you lose the upgrade you purchased already and would have to spend more money, but it will allow you to push forward with development. I had Windows 8.1 64 bit installed on my computer. From this tutorial I learned that I need win8 64 bit Pro installed. I downloaded from MSDN Windows 8.1 Pro VL (x64) - DVD. When the installation completed the Control Panel/System dialog says that I have Windows 8.1 Pro 32 bit. My OS went from Windows 8.1 64 bit to Windows 8.1 Pro 32 bit. What gives? I have made several attempts at installing Windows 8.1 Pro 64 bit. I have an MSDN license. Do I have to make another software purchase to make this work? Any help is most appreciated. What if I had 32bit windows 8? Would I be able to install the SDK.. I do not really want an emulator because I own a windows phone 8 running device, would I be just ablet to download the sdk ? @Edwin Jose: you can but you have to deploy directly to a phone. This computer does not support hardware virtualization, which means Windows Phone Emulator 8.0 can't run on this PC. Earlier on this thread you mention using Azure to deploy VM's to create a dev lab. When I look on Azure, the only Windows VM's I see are servers. I know these will work for Windows 8 App development, but will they work for Windows Phone 8 development? @John: Hi John, as you can see this thread is quite woolly. I'm not recommending anything to anyone anymore. 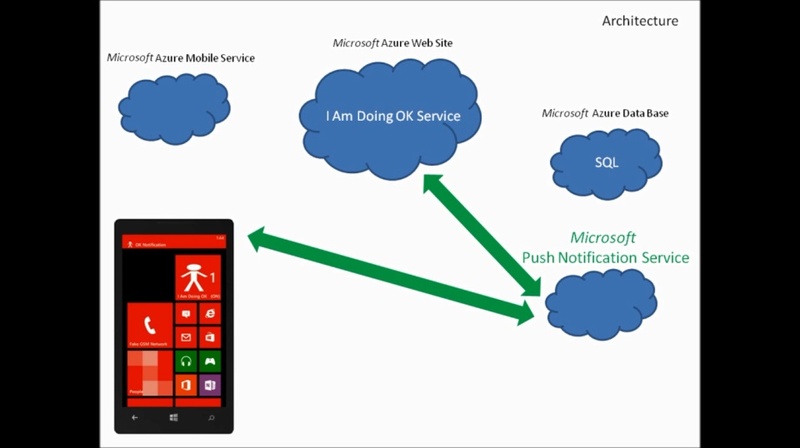 I didn't try the Azure + Visual Studio solution for Windows Phone development. I should have said "in theory, I can't see why it wouldn't work". Don't take my advice for this ... do it at your own peril!!! Thanks for the fast response Bob. I decided to give it a go to see if it could be done. I set up a VM using an MSDN VS 2013 Ultimate image. I then installed the Windows Phone 8 SDK. This installed VS2012 Express for Windows Phone, with no error messages. I launched and started a new project and attempted to run the build but it failed because Hyper-V was not turned on. However, in Server Manager, you can't turn Hyper-V on - if you try you get the message "Hyper-V cannot be installed: A hypervisor is already running." I then ran a couple of DISM commands to force the install of the Hyper-V roles. The next time I tried to run, for a moment I thought it had worked. The emulator UI appeared, and after a while the "Starting Phone OS" message appeared. But then it crapped out. The error message says that the Emulator wasn't able to ensure the virtual machine was running. "The Virtual Machine Management Service failed to start ... because one of the Hyper-V components is not running." So, I guess this is not a runner. Pity....because it appears that with a little hacking, this works with VM Player. Still a good solution for Windows 8 development though.